The active version of the OMNI-A0190 antenna includes a nominal 10 dB amplifier to help overcome cable loss. The passive version has no dynamic range signal limitations. The antenna is waterproof and UV stabilized, so it can be used as a compact antenna for a permanent monitoring system. The supplied base and RF cable, allow the antenna to be neatly positioned on a table for shows, meetings and demos. 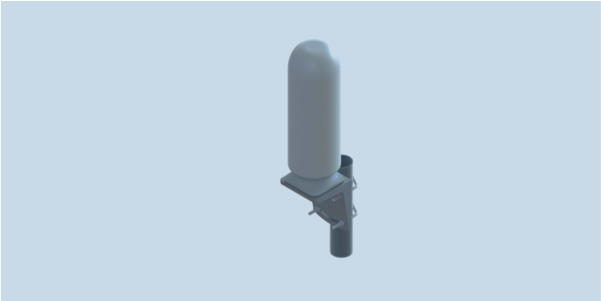 The supplied mast bracket allows the antenna to be permanently mounted outdoors. OMNI-A0190 pairs nicely with the DF-A0031 using BRKT-A034, providing wideband omnidirectional monitoring to the direction finding antenna system.